We believe that the monetary value of our grants must grow to increase the impact of our funding. We need to provide larger awards to expand the pool of qualified scientists who apply for our grants. 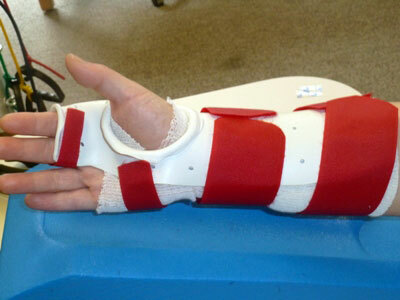 Now is the time to show the impact of hand therapy. We are currently seeking additional funding from individuals and organizational donors to meet the needs of the research community. AHTF funds clinical research through the Burkhalter Young Investigator Grant for Clinical Research in Hand and Upper Limb Rehabilitation and the “Judy Bell-Krotoski Grab the Evidence” Grant for Fundamental Research and Evidenced Based Studies. AHTF supports the world-wide sharing of education through the Evelyn Mackin Grant for Education by a Traveling Hand Therapist. The foundation asks for your help to support our mission and goal of promoting high impact clinical and fundamental upper extremity research. Your generosity makes a difference. Please support your profession through a tax‑deductible gift today. We put your donations to work! In the last 7 years, AHTF has provided over $37,000 in grants to qualified applicants. AHTF has funded over $100,000 in grants over its 25+ year history.